A new species of dinosaur is described, on average, every ten days. As many as 31 species have already been reported this year and we can expect a few more before 2016 is over. Of course, figuring out what counts as a distinct species is a tricky problem. Palaeontologists are argumentative by nature, so getting any two of them to agree on a definitive list of species is probably impossible. But by anyone’s count, there were a lot of them – 700 or 800 that we know of, probably thousands in total. So how did the dinosaurs become so diverse? First we need an idea of just how many dinosaur species there were. One study tried to estimate the total diversity of dinosaurs by using the species-area effect – the idea being that if we know how many species one small part of the Earth can support, we can extrapolate how many must have existed worldwide. These calculations suggest that at the end of the Mesozoic, 66m years ago, the standing diversity of dinosaurs – all the species alive at one point in time – was between 600 and 1,000 species. This seems to be a reasonable estimate, in that if you counted up all of the living land mammals weighing more than 1kg (the size of the smallest dinosaurs) and then added the extinct species from the past 50,000 years, such as wooly mammoths, ground sloths, and giant kangaroos (correcting for losses to diversity caused by humans) you would end up with a similar figure. However, this is just the number of species around at one point in time, and the dinosaurs were around for a very, very long time. Over the course of the Mesozoic, dinosaurs constantly evolved and went extinct. Doing some quick and rough estimates, and assuming 1,000 species of dinosaurs lived at any one time, and then that the species turned over every million years – that’s 160 times over the 160m-year reign of the dinosaurs – we end up with 160,000 species. Which is a lot of dinosaurs! This is, of course, a very rough estimate. It depends on a lot of assumptions, such as how many different species the planet can support, and how quickly they evolve and go extinct. If we assume a lower standing diversity of 500 species and slower turnover, with species lasting 2m years, for example, we end up with around 50,000 species. On the other hand, perhaps standing diversity of 2,000 species is reasonable for the warm, lush, Mesozoic, and perhaps they only lasted just half a million years. That gives us over 500,000 species. So it seems reasonable to guess that there were between 50,000 and 500,000 species of dinosaurs – without including Mesozoic birds, which might double the diversity. Why so many species, then? It comes down to three things. Dinosaurs were good at specialization, localization, and speciation. Dinosaurs were specialists, and by specializing to exploit different niches, different species could coexist without competing. In western North America, the giant predator T. rex coexisted with little meat-eating dromaeosaurs. Enormous, long-necked sauropods browsed alongside horned ceratopsians, which grazed on ferns and flowers. There were smaller plant-eaters – pachycephalosaurs and ornithomimids – as well as heron-like fish eaters, and even anteater-like insectivores. And within these niches, there was further specialization. T. rex was large and had massive jaws but fairly stocky limbs, and was well-suited to preying on the slow-moving but heavily armed Triceratops. T. rex‘s cousin, Nanotyrannus, was smaller but had the lanky legs of a marathon runner, and probably chased down faster prey. This specialization meant that – based on my recent studies of the fauna – as many as 25 dinosaurs could live side-by-side in one habitat. Localization refers to how different places had different dinosaur species. Mongolia had one set of animals – tyrannosaurs, duckbills, and ostrich dinosaurs – inhabiting a lush delta that flowed through the middle of a desert. Just a few miles away, little-horned dinosaurs and parrot-headed oviraptors inhabited the dune fields. Dinosaurs also show differences across continents, with different species inhabiting different parts of North America, for example. Between continents, the differences are even more extreme. During the Late Cretaceous, North America and Asia were dominated by tyrannosaurs, duck-billed dinosaurs, and horned dinosaurs. But Africa and South America, cut off by oceans for tens of millions of years, had an entirely different set of species. Instead of tyrannosaurs, the horned abelisaurs were top predators. Instead of duckbills, the long-necked titanosaurs were the dominant plant-eaters. Dinosaurs evolved new species with remarkable speed. Radioactive dating has made it possible to date the rocks containing dinosaur fossils, and from that, to estimate how long dinosaur species lasted. The rocks forming the Hell Creek Formation in Montana, for example, were deposited over a period of around 2m years. At the bottom of these strata, we have one species- Triceratops horridus, and at the top, we have a second Triceratops prorsus evolving from the first. This implies that a species lasts a million years or less – a short time, at least in geological terms. 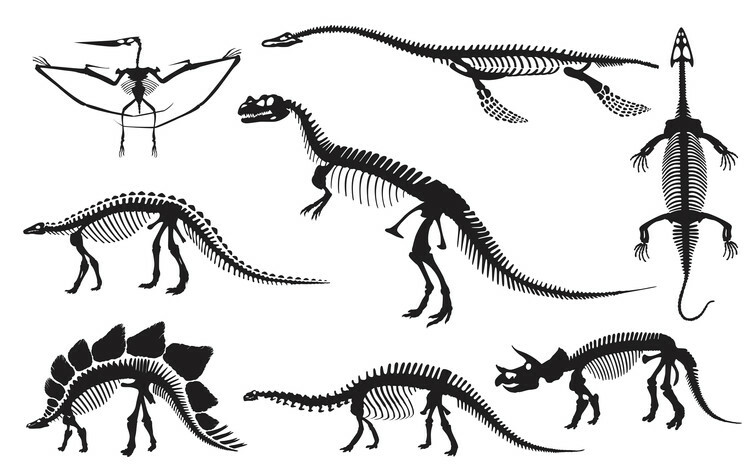 Studies of other formations, and other horned dinosaurs, tend to suggest that other species were similarly short-lived. In the badlands of Dinosaur Park in Canada, we can find fossils that show three different sets of dinosaur – the first replaced by the second, the second by the third – evolving in 2m years. Dinosaurs evolved rapidly, driven by shifts in the planet’s seas, climates, and continents, and also the evolution of other dinosaurs. And if they didn’t, they went extinct. We’ll never know exactly how many dinosaurs existed. It’s so rare for an animal to fossilize and be preserved that many tens of thousands of species, maybe hundreds of thousands, are probably lost to us forever. And yet the remarkable thing is that the pace of dinosaur discovery has actually increased over the years. Most of the species that have ever lived are lost, but we have thousands left to find. Where is the ‘alt-left’ on social media?